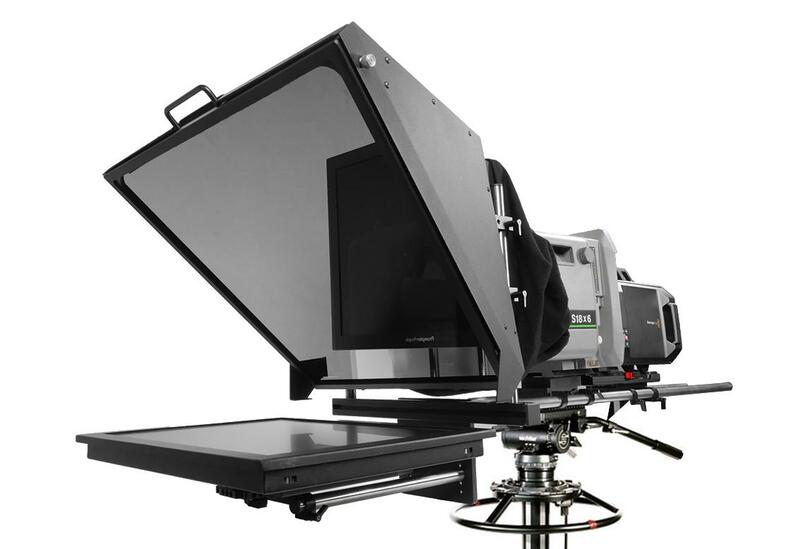 Rugged 19mm rail system prompters are designed to support large heavy broadcast camera/lense rigs. Stainless steel high-tensile strength 19mm rods support our standard or High Bright reversing monitors that offer offer composite, VGA, HDMI and HD-SDI in. 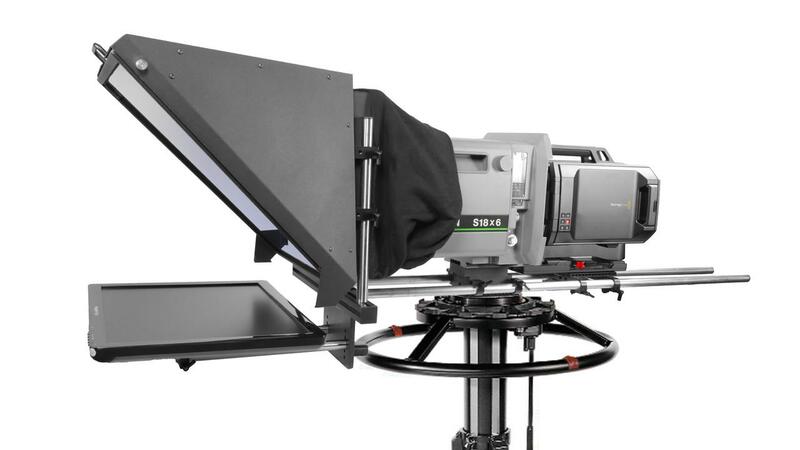 Prompting signal from any Teleprompting program is clearly and cleanly displayed. Our hoods are a lightweight yet durable thin sheet aluminum for years of use and no maintenance. Talent monitors, tallies and ENPS, MOS and iNEWS compatible software is also available at affordable price points. ENPS, MOS and iNEWS compatible newsroom software available.